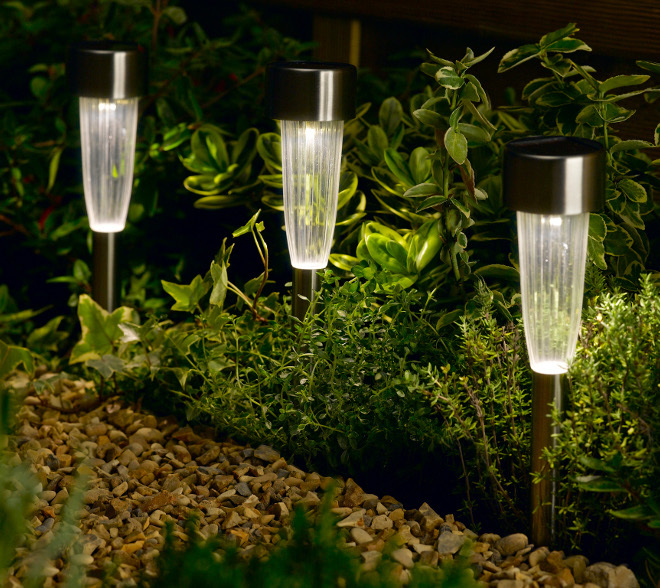 These Smart Solar Fluted Stake Lights will automatically stay on when darkness falls. Each has an internal solar panel which can give up to 8 hours of light each night. 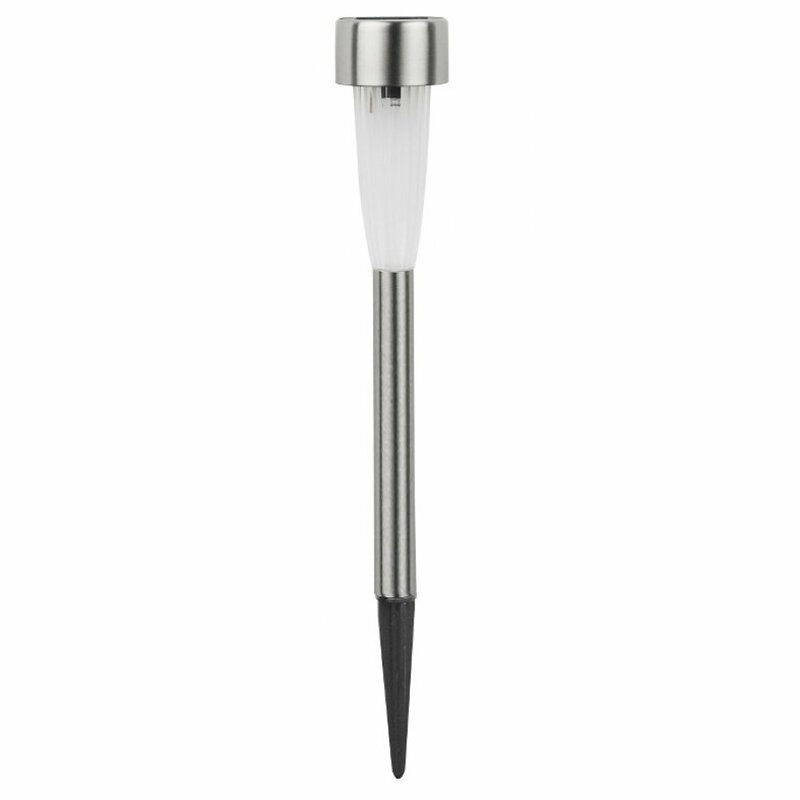 The Fluted Stake Light is designed to easily put in the ground and illuminate bed borders or garden pathways. - Features an integral solar panel that powers the stakes at night. - 1 x white LEDs per stake. The Solar Powered Fluted Stake Lights - Pack of 10 product ethics are indicated below. To learn more about these product ethics and to see related products, follow the links below. 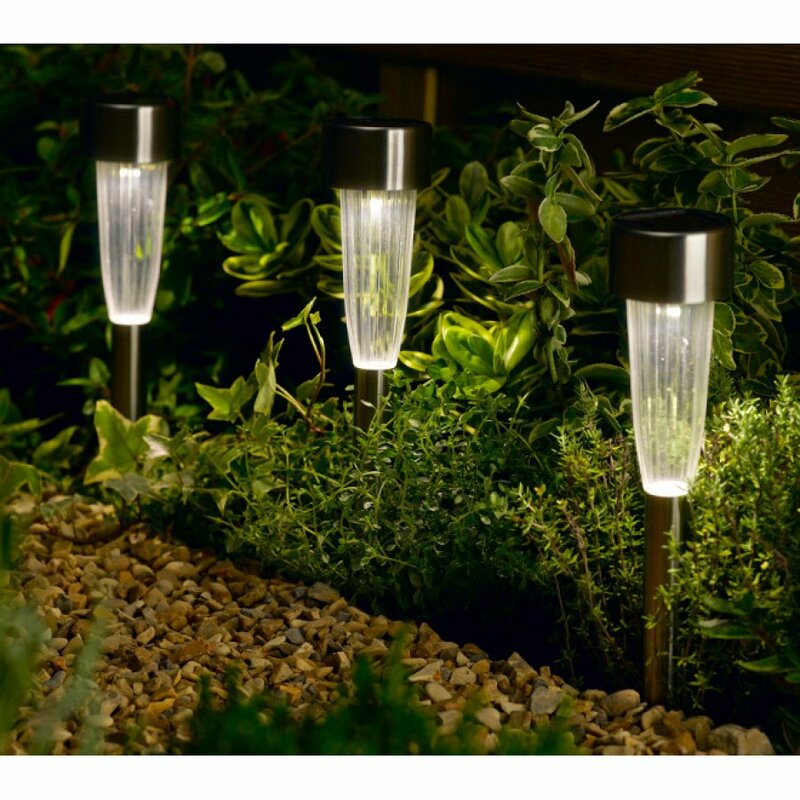 There are currently no questions to display about Solar Powered Fluted Stake Lights - Pack of 10. Smart Garden is a UK based company which specialises in harnessing the power of the sun. Their range of innovative solar products vary in design from the traditional and the classic, to the colourful and contemporary. The use of renewable energy as an ideal way for the environmentally conscious to enhance homes and gardens is always a priority for Smart Garden. To top it all off, not only do these Smart Garden lights and water decorations look great, but as solar energy does not diminish our planet’s precious resources, they can be used and enjoyed with a clear conscience.